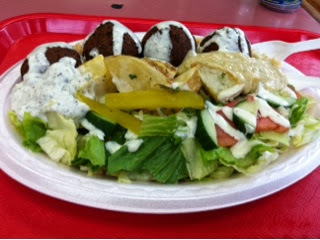 - Falafel plate. Only ate 2 Falafels though. 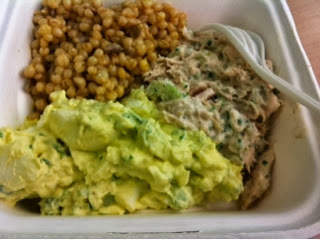 - random mix from grocery store. That's a small container, FYI. - 30 min intense interval run on the treadmill.